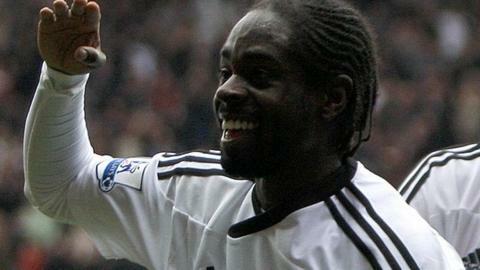 Winger Nathan Dyer has said Swansea had to go "back to basics" following four successive Premier League defeats. Dyer was on the score sheet as Swansea ended their poor run of form with a comprehensive 3-0 home win over struggling Blackburn Rovers. "Obviously four defeats on the bounce wasn't good for us," said Dyer. "We just had to go back to basics and make sure that we put in a performance that we were going to be proud of." Brendan Rodgers' side had lost to Everton,Tottenham, Newcastle and Queens Park Rangers before securing a win over Blackburn at the Liberty Stadium. Defeat heaped further pressure on Steve Kean's struggling side but Dyer insists Swansea had to work hard for their victory despite the final score. "I wouldn't say it was easy," said Dyer. "We had to work hard for it. We had to get back in people's faces and win our individual battles and play from there. "We had to make sure we grounded out the result and [keep] another clean sheet. It was a valuable three points." Dyer scored Swansea's second goal after midfielder Gylfi Sigurdsson had given the home side the lead with a curling left-foot shot. The Iceland international is on loan at Swansea from Hoffenheim until the end of the season and Dyer would like to see the 22-year-old's move made permanent. Sigurdsson has said he would be happy to stay at Swansea City beyond the end of the current campaign. "It would be great for him to stay here," said Dyer. "He's come in and he can play football. He's a brilliant player and he fits well into our team. "We'll have to see what happens in the summer. Obviously it's down to the manager and chairman [Huw Jenkins]. But it would be lovely to play with him next season. "I don't know what's going on with the board and the money situation. I hope that they try and do what they can to keep him."